Now that Thanksgiving is just a week away and I’ve been binging on Christmas movies for a solid month now, it’s safe to say that the holiday season has officially arrived! We’re in it, friends. There are so many things we love about this season, almost too many to count, but the thing we love and look forward to most about this time of year is that our house comes alive over the next couple of months with visits from friends and family we love! 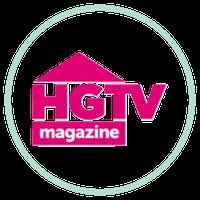 But as much as we absolutely love it, that guest hosting hustle isn’t always easy, which is why today we’re hitting you with our 10 go-to easy, affordable, fun, creative tips and tricks for making your guests feel at home this holiday season and the trusty tool we’ve relied on for years that makes prepping for guests and tackling all of those big linen laundry loads a total breeze, Persil® ProClean® Laundry Detergent and Persil® Power-Caps®. Our guest bedrooms are some of the last rooms in our beloved old house that have yet to get a full facelift since we moved in and started updating the place, but we don’t ever want that to stop us from welcoming our favorite people into our home. So we’ve mastered the art of adding small, simple touches to the rooms that require minimum effort, but have max impact to make our guests feel like they're living that five star life when they come visit, despite the fact that the rooms aren’t quite perfect in our eyes. We’re fooling ‘em all, and loving every second of it. So sit back, relax, and let us make your holiday season hosting life a little bit easier this year! This is step one, guys and our absolute favorite guest-hosting tip! 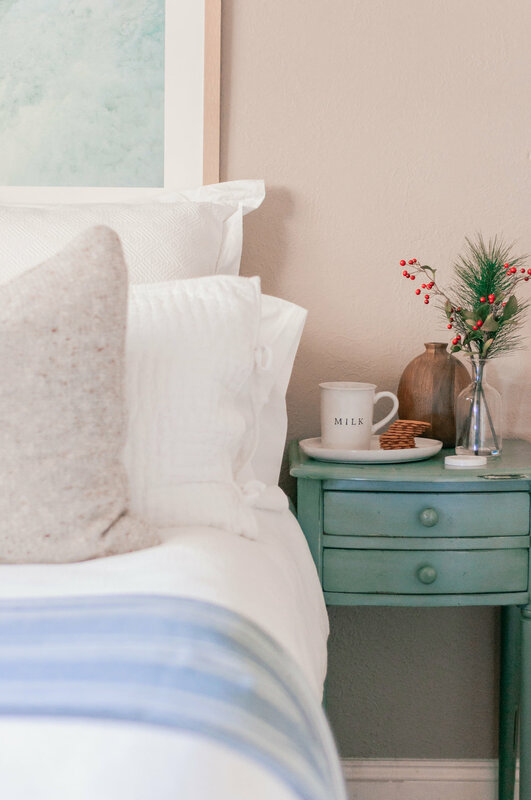 One thing we’ve learned as we’ve updated and lived in this little old house with small spaces is that fluffy, soft, cozy white linens -- bedding, towels, etc. -- are such an easy way to instantly elevate any space and you totally don’t have to spend a fortune to do it. There are so many affordable, high-quality options out there on this front! But because we're so in love with the comfy-coziness of white bedding and during the holiday season we’re constantly turning our guest rooms over for the next guest, we have to make sure that the tools we're using to clean those dreamy white guest linens give us soft, clean bedding after just one wash... not two or three. Enter: our trusty sidekick during holiday guest-hosting and gathering season, ! Of all of the brands of laundry detergent we’ve tried with our big loads of white linens (and trust us when we say we’ve tried a lot over the years), we personally feel that nothing fights stains and keeps our whites bright, soft and fresh for longer than Persil laundry detergent. We also love that Persil laundry detergent delivers a premium clean you can see, smell, and feel on the first wash, so we don’t waste time slaving over laundry and guest prep when we could be doing about a thousand other things we love this holiday season. Huge win in our books! 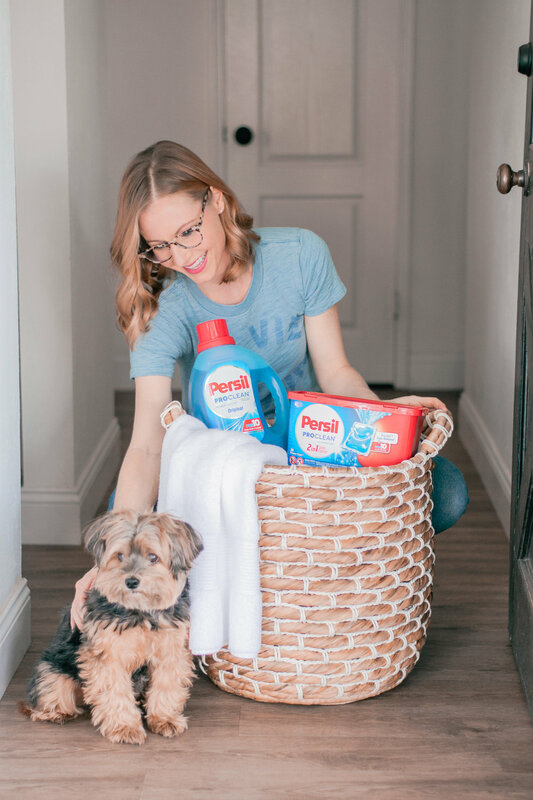 We pick our Persil laundry detergent up at Target in the in the aisle with other detergents, fabric softeners, etc., which makes our lives so much easier since it seems like we’re always there, especially during this season. This may sound like a little bit of an extravagance, but trust us when we say that it’s not, and it’s awesome! Our guest bathroom isn’t an en suite bathroom, so our guests have to walk across the hall to get there. Which can be a little bit awkward for them, I’m sure. So what could be better than having a fluffy, cozy robe waiting for them in their room or hung in the bathroom when they arrive? And no, you totally don’t have to break the bank on this one either! So many affordable retailers out there have some really beautiful, plush robe options that your guests will love. And this is another one that you’ll get so much life out of with Persil laundry detergent by your side. We’ve had our beautiful, soft white waffle guest robes for a couple of years now and we’ve been washing them after each guest with Persil laundry detergent, and the Pro10 Technology has helped remove tough stains for an exceptional clean every single time, while keeping them bright white, super soft and oh so fresh. Pro Tip: If we’re just doing a light load of robes and a couple of towels, we like to use the Persil® Power-Caps® because they’re so convenient and are a pre-measured, single-use detergent capsule with the same Pro10 Technology that gives us an exceptional clean every single time. I wish I could take credit for this one, but this was all C’s idea back when we hosted our first guests in this house. Grab your streaming service player and put it in your guest bedroom while they stay and they’ll feel right at home if they wake up early and want to lounge around in bed, or just want some background noise while they’re falling asleep in an unfamiliar bed. Even though they probably won’t be indulging in a serious show binge while they’re visiting for the holidays, it’s just another small, inviting, homey touch that your guests will appreciate you took the time and care to do. Simple. Effortless. Cozy. You’ve heard us talk before about how candles are an essential in our home and in our pursuit of hygge, and that’s doubly true during the holiday season. We absolutely love bringing the scents and warmth of the season into our home to create a cozy winter vibe, and we love putting a scented candle, or even better, our easy DIY scent pots in our guest bedroom when someone we love visits and leaving them with that happy scent memory when they go. This one’s two-fold. Not only do blankets add to the coziness of a room just by being there and serving as a piece of the room’s decor, they also serve the functional purpose of offering your guests a nice optional layer during the night or in the morning to make sure they’re perfectly warm when the weather outside is less than toasty. The more blankets, the better in my book and I’ve noticed that our guests will latch on to those blankets throughout their visit, taking them from the bedroom to the couch and even out to the fire pit, which makes me so happy! There’s nothing worse than forgetting a charger, or not having a chord that’s long enough, or access to outlets in the right places. All annoying things that make your travel experience just a little bit less awesome. Which is why outfitting your guest room with charging stations/chargers/etc. is such a thoughtful gesture that any guest would appreciate, even if they don’t end up utilizing it (we love the wireless ones). You can find super cheap versions that work well (especially since they won’t be used every day) basically anywhere these days (drugstore, grocery store, online, etc. ), so this one’s easy and affordable to execute. I love cookies, you love cookies, we all love cookies! And I love putting some fun or iconic holiday cookies in our guest rooms when friends and family visit during the holidays because it’s such simple, welcoming touch that involves minimal dollars spent. I love a good ginger or molasses cookie during this season, but they sky’s the limit here and even better, throw a few in a small bag with a festive bow and they can take any uneaten treats with them when they leave (I don’t have that kind of self control, but kudos to those out there that do)! And now they have to love you forever, no matter what. Genius! 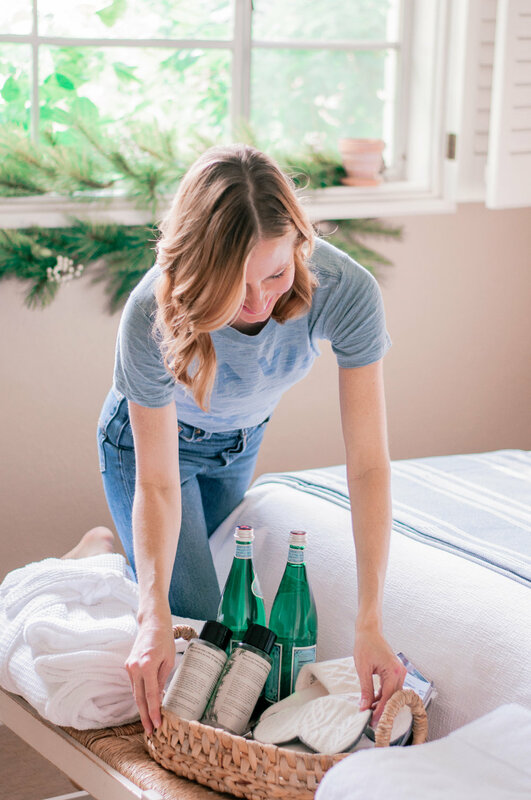 I think providing guests with a nice carbonated water or just a couple of big bottles of water in their rooms is a really nice way to say you care and again, such an affordable touch that goes a long way to make your guests are comfortable. Sure, they could head to the kitchen and grab a glass of water whenever they want, but I love having access to water in my room wherever I travel and shack up somewhere, and having a bottle than I can take with me when I leave the house/hotel and head out for an adventure is a great bonus. Too easy! Who says magazines are dead? Not this girl! I’ve always loved leaving a little stack of current issues of great magazines in our guest rooms, and I’m pretty sure I’ve seen every single guest we’ve ever hosted reading one of them during their time here - it’s universal! 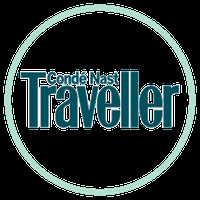 I love a great travel magazine with beautiful images and stories that inspire our guests’ next adventure, but there are so many great mags out there that would be a fun little treat for your guests to read. Cheap, easy, awesome. We know that for some of you this is probably a no-brainer, but it’s such a fabulous little touch that it shouldn’t be overlooked on this list. Pick up a quality shampoo and conditioner that you can leave in your guest bathroom or have somewhere accessible for your guests when they arrive and I promise they won’t forget it! There’s something about a great shampoo and conditioner at a hotel -- whether it smells heavenly or just makes my hair feel amazing -- that instantly endears me to that hotel, and I strive for that same feeling when we host guests in our home. And if you want to make it even more affordable, grab the travel sizes and you won’t feel like you’re breaking the bank! I love the idea of greeting your guests with a pair of cozy slippers and a sleep mask on their bed when they arrive. Who wouldn’t love that little luxury when they visit? This is one of those things that takes your hosting prowess to the next level, and nowadays you can find awesome, affordable options for this at so many budget retailers. 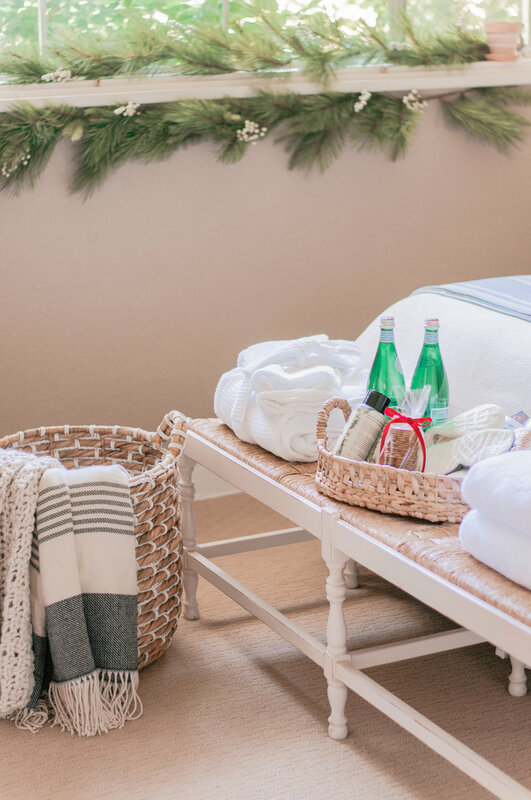 As you guys know we love natural, cozy, simple holiday and seasonal decor, and there are so many ways you can add a tiny touch of the season to your guest rooms to make your visitors feel the holiday or winter love without a lot of time or money spent and without going overboard. In this guest bedroom we added a little bit of garland to the windowsill, a simple holly and pine branch arrangement on the nightstand and a pretty red velvet bow around our cookie bag to make them feel the holiday love. As mentioned, we buy our Persil laundry detergent at Target in the in the aisle with other detergents, fabric softeners, etc. 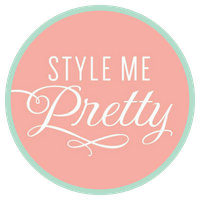 If you have awesome, tried and true guest hosting tips that get you through the holiday season without breaking a sweat, make sure you drop us a comment below so we can all share in your genius! Happy holidays, friends!